We want to hear perspectives on communities. What it means to be part of one, how do we build and sustain them from work, rural and personal communities. Three day mind mesh festival of thinking, sharing and connecting in Ashford Castle and Cong Village. 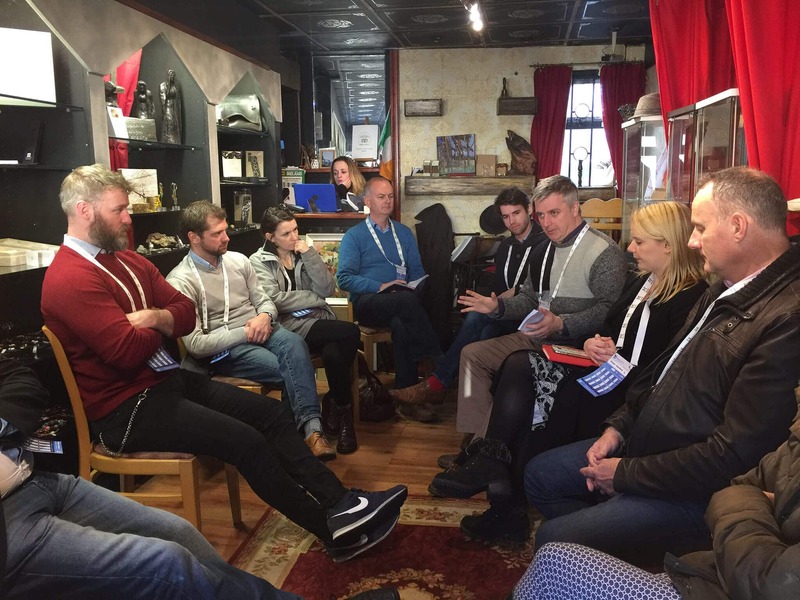 Celebrating its 7th year, CongRegation™ #cong19 (Nov 22-24th), is centred around the Saturday unconference whose central theme is ‘Community’. This year we are looking for curious minds from a range of diverse backgrounds/sectors who will share their unique perspective of Community – what it means and how do we create and foster it . We are treating the theme in its broadest form from psychology, technology, personal experiences to methodologies and ideas. We want to hear how people see, experience or what they think of “Community”, be it a personal one, business or career transition. 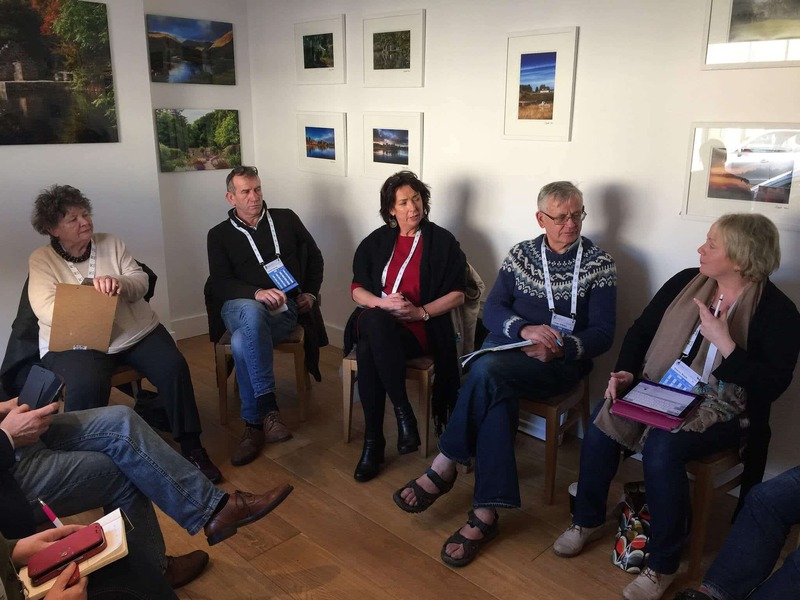 CongRegation™ is ideally located in the historic village of Cong in south Mayo, which is most famous for its 12th century abbey, Ashford Castle, the John Wayne classic movie, The Quiet Man and the natural beauty of Cong Woods and Lough Corrib. Discuss and share your insights on how 'Ideas' can influence, change industries and lead to personal and global revolutions. 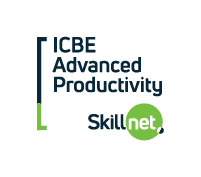 You pay with your insight and are encouraged to share your thoughts on everything ranging from your own personal journey, to industry insights to how ideas are helping shape your sector. We are treating Ideas in its broadest form from psychology, technology, personal experiences to methodology. You are guaranteed three days of unforgettable speakers, insights, sight seeing and socializing. 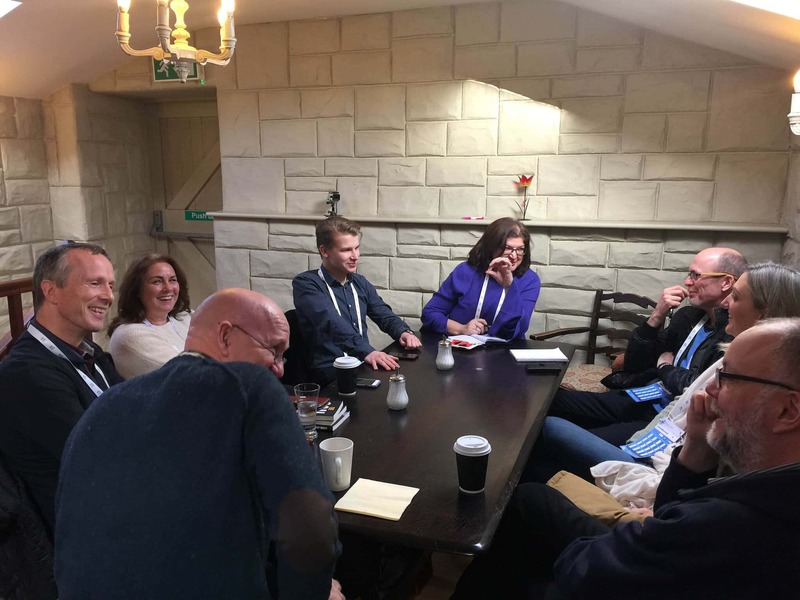 Congregation is more than just a conference, it's about connecting people, allowing for non-formal networking and sharing of industry expertise and insights in a relaxed and friendly atmosphere. Congregation year to year has hosted some of the worlds greatest minds and achievers. From the inventor of Baileys and author David Gluckman to the founder of Ireland's largest public forum Tom Murphy to the inspirational Gerry Duffy who ran 32 marathons in 32 days. While the adults are taking their minds for a gallop, their children will experience a day engaging workshops from science driven Smart Fabrics to Clay Modelling. Following a full day and evening of sharing and learning new friendship and connections are deepened over musical and art workshops late into the night. 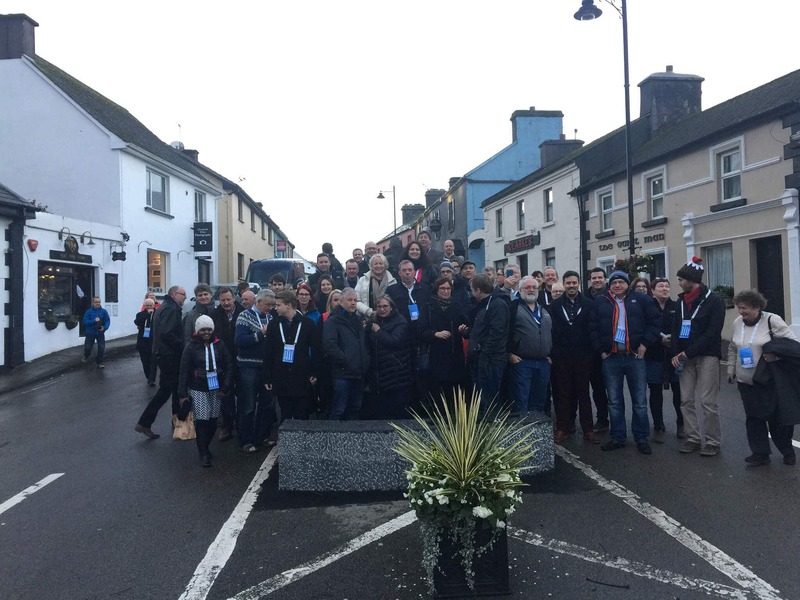 Early risers get to experience guided walks in Cong. A schedule at a glance is listed below. Check the program for this year's unconference and learn about the speakers and sessions in store. Arrival in Ashford Castle with a registration reception where attendees will pick up their name badges and get a chance to network with a complimentary glass of champagne to lighten the mood. 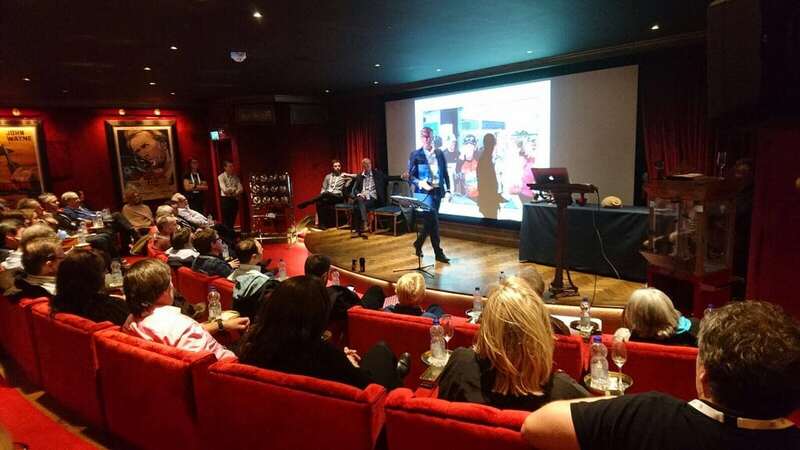 Presentations will then begin from 20:00 PM sharp, attendees will be directed to the private cinema where we will be kickstarting this year’s CongRegation with an evening of community stories from the worlds of business, psychology, media and creativity. 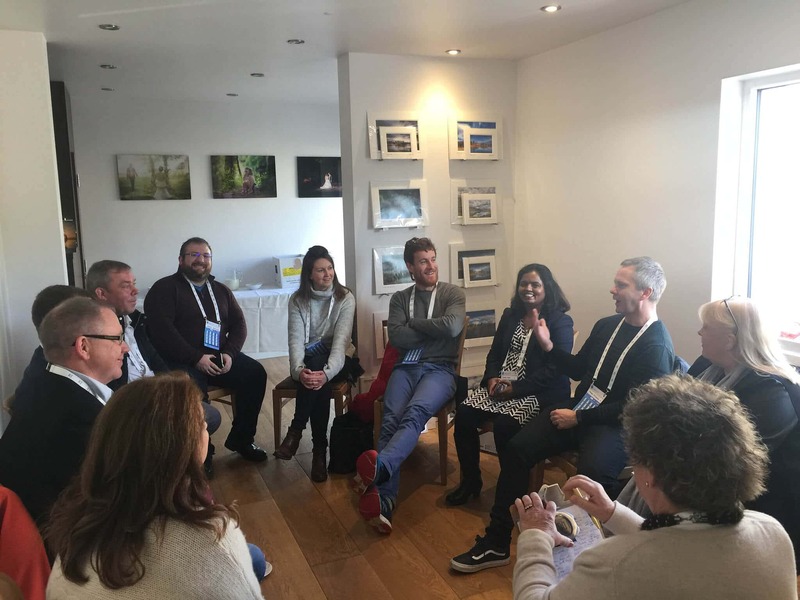 The evening will close off at 22:00 PM and will be followed by informal networking events happening all around the village of Cong over drinks and live music. It's time to relax, enjoy a drink and get your networking skills on. To help you get to know each other better we will have a fun workshop in Danaghers. This is an excellent opportunity to introduce yourselves to fellow attendees and prime yourself for tomorrows huddles. Registration will open at 09:00AM sharp and attendees are invited to network among themselves and enjoy refreshments while waiting to recieve their name badges and event schedule. Eoin Kennedy will officially open Congregation with a warm welcome and explain the running order of the day, answer any questions in regards to huddles and will brief the attendees. Three talks per huddle moderated by the chair. 10 minutes per presentation followed by Q&A. You decide when and where you present. Enjoy a coffee or take a relaxing stroll around the scenic village of Cong. Or catch up to that speaker you didn't get a chance to finish talking to and prime yourself for the following session. Next three presentations guided by the chair. 10 minutes each followed by 5 min Q&A. It's time for lunch - your schedule will guide you to your lunch spot in Cong! Enjoy a healthy meal with a dose of coffee whilst discussing today's events so far! Don't forget to share those interesting moments with the rest of humanity on social media and show them what they missed out on! 3 presentations followed by Q&A. 10 minutes per presentation followed by 5 minute Q&A. The day is nearing to a close, take a deep breath and enjoy a quick coffee before you head to your last huddle! What a day it has been, give yourself a pat on the back for making it this far. It's the last huddle, take notes, ask questions and share your ideas and thoughts if you haven't done so already. We are exploring an joint ideas session/mini hackathon challenge. Gather in the town square and put your best smile on! Eoin Kennedy will address the group and you'll get to be apart of this years group photo! You've made it! Now off to Ryan's Hotel for some casual drinks and an evening of informal networking and idea sharing! Thanks for joining in for this years Unconference Conference! Enjoy a traditional Irish dinner among friends whilist going over any topics or themes you found interesting. Share and tweet away on social media of how it all went! Building on last year's poetry session we are no extending to a 30 minute open mike session for all budding poets. Finishing Congregation with a bang and style we've decided to teach you some new musical skills! Join us at Danaghers Pub for an evening of music, refreshments and networking! Sean McGrath will guide us through this years instrument - the Ukulele. Take in the beauty of Cong Woods and find wild food with our foraging guide. Say your good-byes, it's been an exciting, thrilling and insightful weekend for us all! We hope you've enjoyed it as much as we have and have picked up a few things along the way! Look forward to see you next year. Interested in becoming a sponsor of CongRegation? Register your interest below and a member of our team will be in touch with you shortly! 3. How does CongRegation™ work? 4. How can I get a ticket? 5. Do you offer childcare? 6. How can I book accomodation? When will CongRegation™ the conference take place? 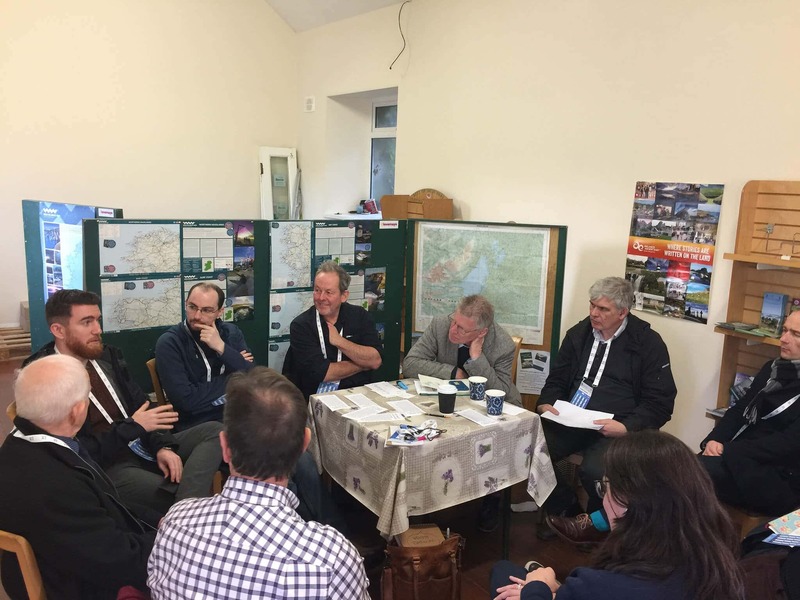 CongRegation takes place over three day (Nov 29th to Dec 1st 2019) in Cong, Co Mayo. Tickets for CongRegation™ cannot be purchased but must be earned by a submission on this years theme of ‘Transition’. Once accepted this submission is posted on the website and included in the post event eBook. The ticket gives access to the three days, children’s workshop, music session and social events. Friday evening in Ashford Castle features 5 speakers telling Transition stories in the private cinema. Saturday uses an unconference model. Following registration attendees are spilt into 10 different venues, where the chair will moderate the presentations. Each attendee presents their submission during one of the 4 sessions. Tickets are allocated subject to the production of a 600 word minimum (no maximum) original article on the theme of “Transition”. This is submitted through the web application form for consideration. Once approved it will be posted on the website. Attendees book their own accommodation and travel arrangements. Attendees look after their own accommodation and travel arrangements. Options range from 5 star Ashford Castle to AirBnB with many offering special rates for CongRegation. Some venues (especially those in the village) are block booked so please call for availability rather than trust online. Places fill out very fast with many already booked for this year. The full list is available here.